Or more preceisely, Plumbago auriculata var. alba. I saw this gorgeous little plant growing in a raised bed against a wall in the full, searing Indian sun. It was doing rather well. 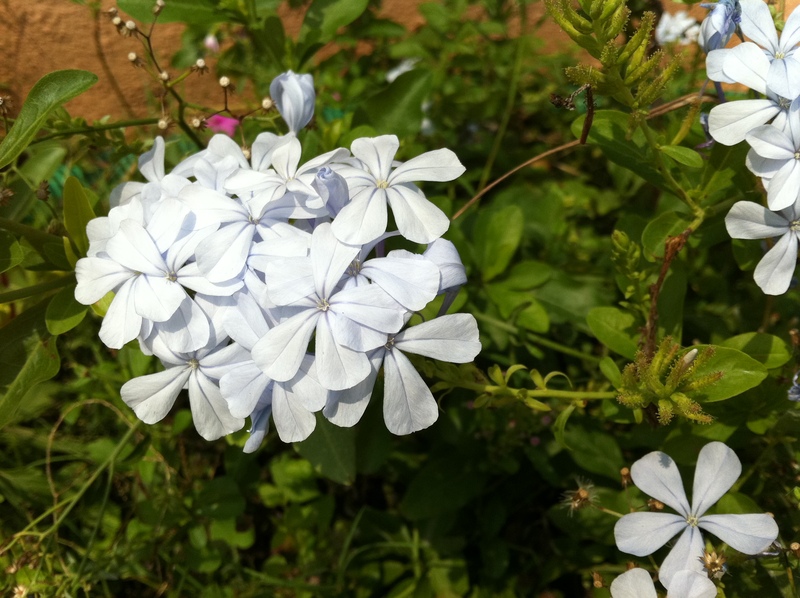 The usual colour of Plumbago is a light blue but there are deep blue and white varieties. The heads of delicate white flowers look beautiful but it’s the silver stripe running down the middle of each petal that make them look like stars. This is one that I would really love to have but I just couldn’t bring myself to subject this tropical plant to the UK climate, even indoors.